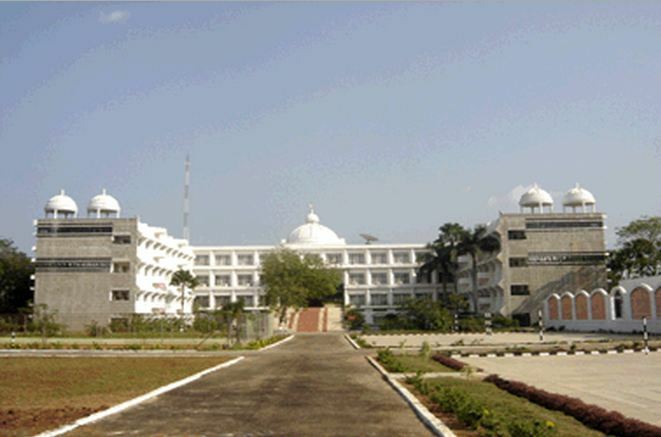 The establishment of Vignan University Guntur was in the year 2008. The motto of this university is “Building Skill in India. The university has more than 10,000 students, in which more than 7000 are undergraduates and 1500+ are postgraduates. The location of the campus is 15 km away from Guntur city. The college offers courses like automobile engineering, bioinformatics, chemical engineering and more advanced courses. Further, the university has many famous events like Mahotsav and Vastrotsav. Also, there is a magazine called ‘Voice’ in which there will be the discussion on topics like literature, cultural events, etc. The vision is to create and innovate practice in the teaching-learning process. Further, it promotes academic achievement and also research excellence. Along with that, it produces internationally acceptable, world-class, and competitive professionals. These professionals will have emotional balance and are psychologically strong and also have ethical values. Moreover, the Institute provides high-quality training activities, research facilities, academic programmes, etc. Vignan University provides opportunities to support Industry-Institute interaction. Also, the aim of the university is to promote entrepreneurship, leadership, employability, and research aptitude among students. Lastly, the Institute contributes development in technology and growth in the economy of the country. For B.Tech courses at Vignan University Guntur Admissions, the candidates have to appear for VSAT (Vignan’s Scholastic Aptitude Test). This is the online entrance test conducted by the university. The date of birth of the candidate must be on or after 1st July 1997. Also, the candidate must pass 10+2 or equivalent with 60% in all subjects. Admission will be through the VSAT exams for all the candidates. Candidates should have studied physics, maths, chemistry, and english to be eligible for VSAT. However, the admission completely depends on the performance of VSAT. Both the rank in VSAT and also an aggregate of 60% in the previous studies are the basis of eligibility criteria. The eligible candidates must attend the counseling at the university. After offering admission, if the candidate does not submit relevant documents then the admission will be canceled. The candidate will be admitted only after the verification of the original documents. There are two spacious open-air theatres. These have the capacity of 1500 to 2000 students. Moreover, the college conducts various co-curricular and extracurricular activities. Also, it conducts the mega events of the university like Mahotsava. The seminar halls have modern equipment. These halls help students to understand the seminars more clearly. Also, it gives the scope of conducting Intra-Departmental literary and cultural events. The campus has facilities for most of the outdoor games like basketball, football, volleyball, etc. Moreover, it has a 400-meter track for athletics. The college also has an Indoor Sports Complex. Moreover, the college provides separate play areas for girls. Overall, these sports facilities help students to improve their physical and intellectual abilities.